Turn technology into your biggest ally on the road by learning how to manipulate your gadgets in countless ways guided by a former professional computer hacker…me. You see, before I was blogging my way around the world I was a full-time computer security consultant making and breaking systems for some of the biggest companies in the world. 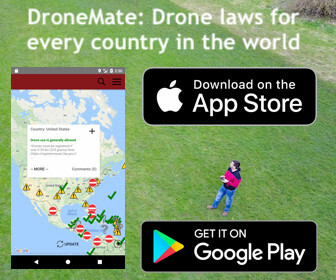 Now I want to show you how to become a tech-savvy traveling digital nomad to do all sorts of things with your laptop you never knew possible. When you purchase The Ultimate Tech Guide For Travelers, you’re not only getting access to a resource that will help you do things like stay connected to the Internet from the most remote places or make sure you never lose another digital travel photo again, you’re getting me. That’s right, me. For a full 6 months after purchasing The Ultimate Tech Guide For Travel you’re getting one-on-one technical support for anything you read in the book. 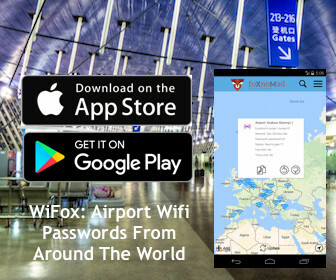 Need help setting up your own offline travel backup network? I’m there to walk you through it. I could have written every single detail step-by-step in the ebook, but that would make for a pretty boring read. I know, because that’s how I wrote it the first time. Save a minimum of $100 in the next year in gadget purchases. Never have to pay for software again. To teach you how to keep your data safe and backed up, in multiple locations, without lifting a finger after the initial setup. Find ways to save up to 50% on common computer purchases. Learn the secret hacking tips you need to become a digital ninja. …with my personal guidance along the way. 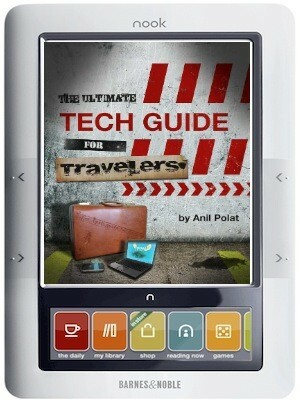 The Ultimate Tech Guide For Travelers ebook is only a part of your purchase – you’ll also get your very own travel technology consultant along with it. Purchasing The Ultimate Tech Guide For Travelers doesn’t get you an ebook that’s static throughout time, but access to a living guide that grows and expands with your suggestions, questions, and along with the pace of technology itself. How to use free software so you never have to spend another cent on expensive applications again. Online tech tools to balance your budget and accurately calculate how much your next trip will cost. How to save 30% on Apple purchases. Information on eReaders, mobile phones, and other portable electronic devices. Call friends and family mobile and landlines for free when traveling abroad – without a phone. Get more than 120 hours of free language lessons before your next trip to a foreign country. Find the best spots for wi-fi reception in hotels and hostels. Tactics on booby trapping your laptop and catching potential thieves. Your laptop is by far the most versatile tool you can carry with you when traveling – let The Ultimate Tech Guide For Travel help you unlock its secrets. The Ultimate Tech Guide For Travelers is $9, which includes personal guidance from me and access to the hacks most essential for travelers. You won’t be able to find all this information in one place anywhere else in an ebook that grows with you. Where Else Can You Hire A Personal Computer Consultant For $9.99? 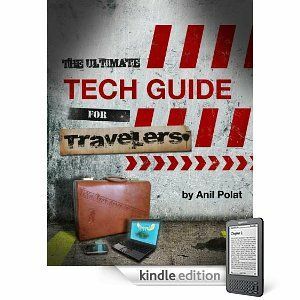 I will guide you step by step through any of the processes you read in The Ultimate Tech Guide For Travelers if you need it. Whether you’re going on a 6 month RTW or simply want to make sure you never lose a digital picture again, I promise to be there with you for any specific help you need. 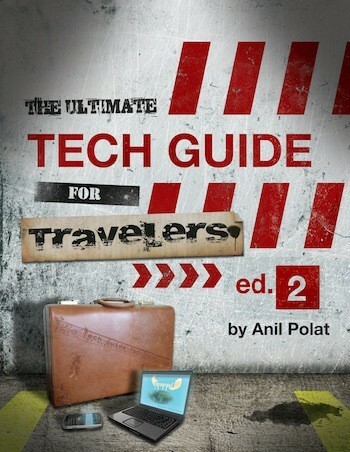 If it’s a topic covered in The Ultimate Tech Guide For Travelers (and there are many) I’m there for you. You help determine what’s in the next edition and get free updates for 3 months! Want a new chapter or a section expanded? 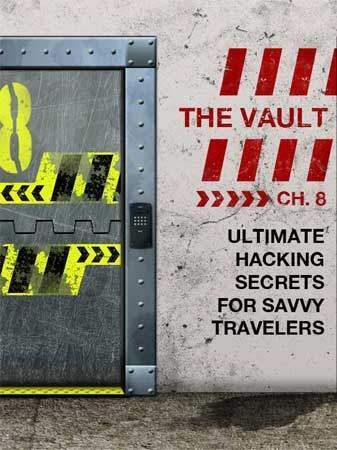 Become a part of The Ultimate Tech Guide For Travel by purchasing it – for $9.99 you’ll get an ebook with hacking secrets you didn’t know about, personal support and guidance, and you’ll have a say in what’s in every edition. On top of that you’ll save a minimum of $100 in computer, software, and gadget purchases within a year – a pretty good bargain for just $9.99.